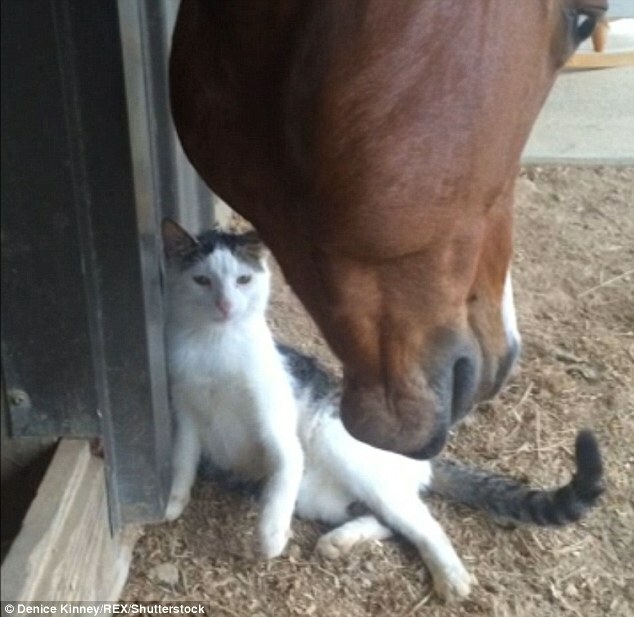 Despite their huge size difference Sappy the cat and Dakota the horse have formed one of the animal kingdom’s most unusual bonds. 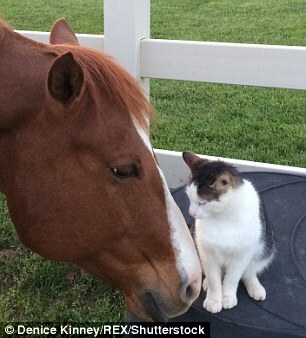 The pair are totally inseparable spending hours cuddling one another, and they even eat and sleep together at their Fairfield, Illinois ranch. 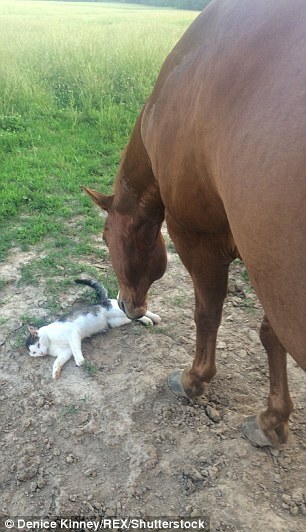 Sappy formed the unlikely friendship when he was just a kitten when Dakota acted like a father-figure to him, explained the owner. 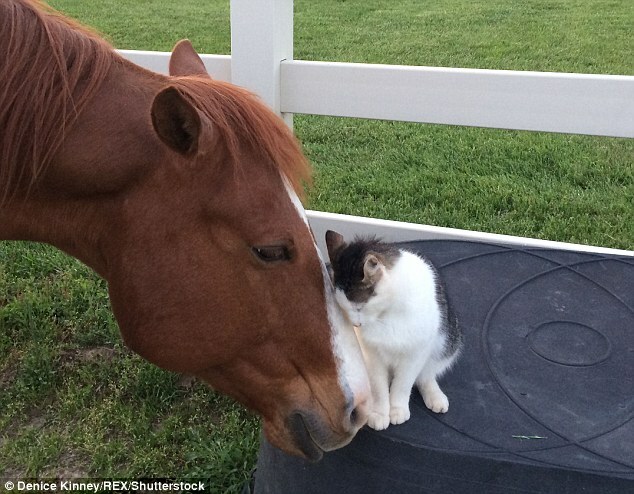 ‘When Sappy was a small kitten, I could tell they had a close bond, the kitten never paid attention to other horses,’ said owner Denice Kinney. 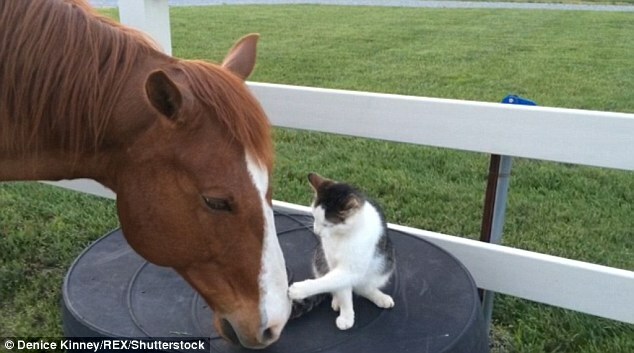 On the large size difference between the two, Denice added the horse could technically crush the cat at any time. 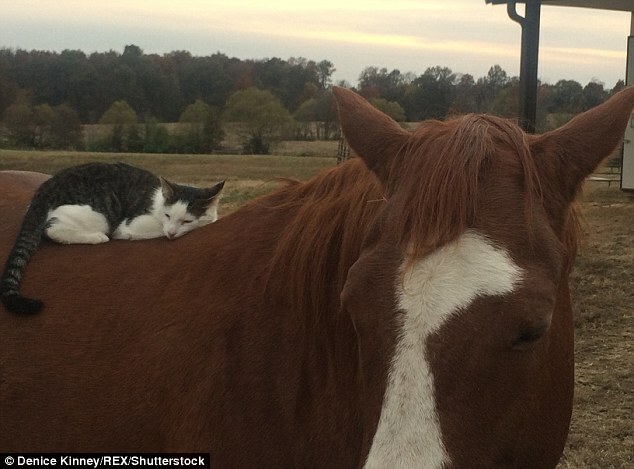 The duo spend practically all their free time with each other, and often Sappy enjoys a rest on the horse’s back. 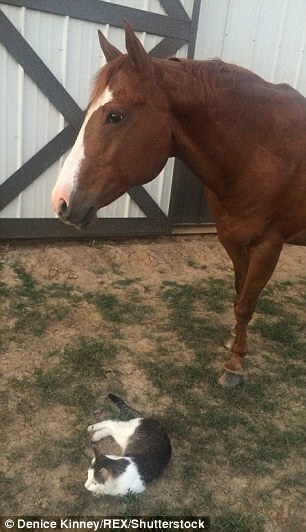 It looks like this relationship was meant to be!